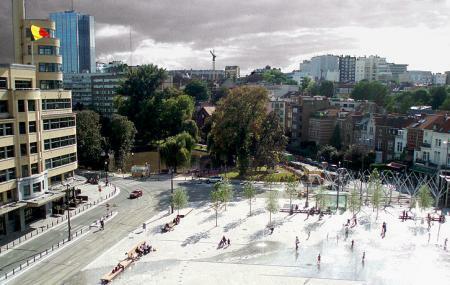 The Place Flagey square is one of the best connected centers outside of the main Brussels city. Though there's not much to do at the square itself, still visitors can check out the surrounding wonders like the Art Deco Maison de la Radio, which is home to the Brussels Philharmonic. The opposite building was Belgium’s first supermarket, opened in 1957. There should be a chips stand nearby, reputedly the best in the city, so don’t forget to stop-by. The best time to be here is during the Sunday food market. Food trucks and all manner of local producers show up to sell the best of their wares- pasta, honey, asian food, oysters, sausages, even some household items. It’s not unusual to find street musicians entertaining the crowds with their mesmerizing skills. How popular is Place Flagey? People normally club together Museum Of Natural Sciences and Hotel Ibis Styles Brussels Louise while planning their visit to Place Flagey.